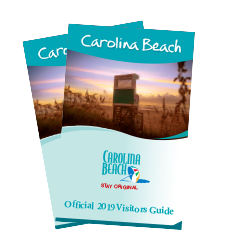 Kick off Memorial Day weekend and the Fourth of July with Fireworks by the Sea and Boardwalk Blasts’ celebrations that feature music, food and more at the famous Carolina Beach Boardwalk. Trick or Treat under the sea at the nearby aquarium or see an island of lights holiday display complete with a lighted boat parade on the sea. At Carolina Beach, holiday celebrations bring together all kinds of people united by their love of a good time.